The European Commission's new strategy for growth and jobs is on the ropes after EU leaders failed to agree hard targets on education and poverty – two of the five headline goals set out in the original proposal. Governments questioned the EU's legal right to set targets on education and poverty and could only agree broadly on the importance of improving education and tackling social exclusion. Debate on how to measure progress in these areas rumbles on, with quantifiable targets not now expected until June. In the meantime, an explicit reference to cutting poverty by 25% has been dropped, as have targets on reducing the numbers of early school leavers and increasing participation in tertiary education. The attack on the headline targets is a severe blow for the European Commission, which is keen to see national governments embrace the so-called 'Europe 2020' strategy to ensure its implementation. However, the Commission can take solace in the fact that its proposal that 3% of GDP should be spent on research and development has survived. Leaders backed the target – which came under fire from finance ministers last week – although the Commission had already conceded that it will try to develop a more sophisticated indicator for tracking innovation. Ahead of the European Council meeting this week, Germany sought to torpedo discussion on education targets on the grounds that its federal competences would be infringed. Several member states attempted to remove poverty from the 2020 strategy altogether, arguing that it is beyond the EU's competence and too difficult to measure. It was also suggested that creating jobs is the primary tool for tackling social exclusion, making explicit references to poverty unnecessary. French President Nicolas Sarkozy said he and German Chancellor Angela Merkel would propose new wording on social exclusion in the coming weeks. Commission President José Manuel Barroso stoutly defended Brussels' legal right to include poverty targets, insisting that the Lisbon Treaty explicitly allows the EU to support member states' efforts on social exclusion. He acknowledged that further work would be needed on the "appropriate indicators" to measure poverty reduction and that this could be done in time for the June European Council summit. European Council President Herman Van Rompuy said fighting poverty is included in the 'Europe 2020' strategy because it is central to the European social and economic model. However, he too admitted there had been frank exchanges on the practical issue of how poverty should be defined and "conceptual problems" on whether the employment targets, if achieved, will reduce poverty effectively. Critics were quick to the brand EU leaders' conclusions on the Europe 2020 strategy a flop, warning that failure even to agree on the top five goals set by the Commission had left a lingering sense of anti-climax. Swedish MEP Lena Ek, ALDE spokesperson on the 'Europe 2020' strategy, expressed her disappointment at the lack of ambition in the summit conclusions for Europe's 10-year economic strategy. "The language and substance lack any sense of urgency or determination to take the necessary measures that will inject a new impetus into Europe's economy. After all the hype, the final summit conclusions are an anticlimax," she said. Ek said European leadership had been "found wanting on this central policy area that will determine how and when we can restore healthy and stable economic growth and higher employment that will flow from it". "I predict that in 10 years time we will be sitting around the table again devising an economic strategy for 2030," she said. 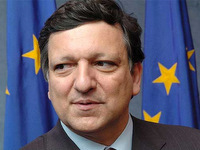 European Commission President José Manuel Barroso said there was unanimous agreement on the shared objectives set out in the Europe 2020 strategy, although further work would need to be done to fine-tune the headline targets. It was essential, he said, that governments take ownership of the strategy and its implementation. "We want member states to be on board and we want them to know what they are going to do," Barroso said, adding that the five objectives had been agreed in principle. He said he was pleased that the Council had come to an agreement based on the Commission's proposal. "We will deliver on it through by focussing on five concrete targets. One target focused on employment, another on R&D, a target related to energy and climate action, a target related to education and the other one related to poverty and the fight against social exclusion. We agreed to do further work between now and June, especially on the education and the poverty targets," Barroso said. EU President Herman Van Rompuy said the targets reflect the economic, environmental and social goals of European society. "We want to have the fight against poverty included in the targets because it's part of the European model. These targets are there from an economic, environmental and social point of view," he said. Fintan Farrell, director of the European Poverty Network, gave a cautious welcome to the Council's decision to back the principle of including poverty in the 2020 strategy. However, he expressed concern at the failure to include a hard target. "The EU seems to have recognised, at last, that growth and jobs alone can't be relied upon to reduce poverty and inequality. But the failure to agree the Commission's proposal of a 25% reduction in poverty, based on the current agreed relative poverty indicator, does raise doubts about EU leaders' commitment to go beyond symbolic actions and really commit themselves to achieving a significant reduction in poverty and inequality," said Farrell. During a summit on 11 February, EU leaders broadly endorsed a paper by European Council President Herman Van Rompuy, which called for more rigorous implementation and monitoring procedures for the new.